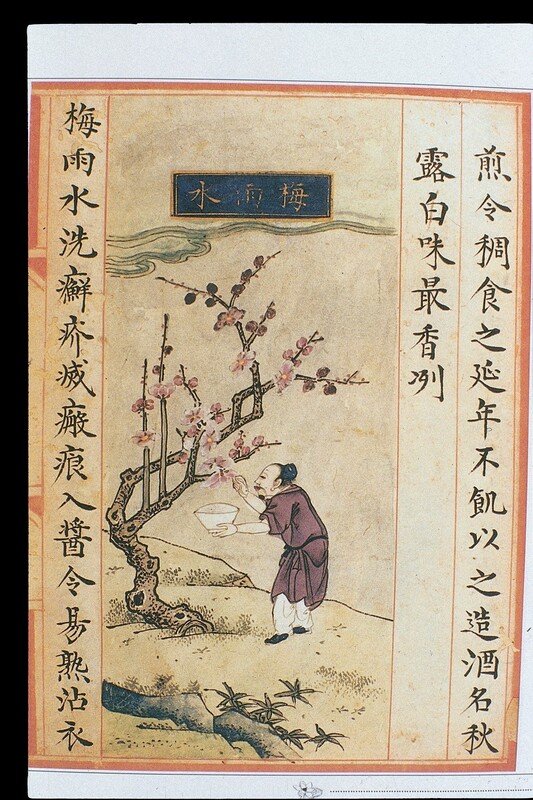 The first part of my blog on the Therapeutic Use of Water in the Bencao gangmu (found here) contained an introduction and brief survey of the content of Li Shizhen’s grand opus in general. Now we are finally ready to jump into the blue stuff itself! 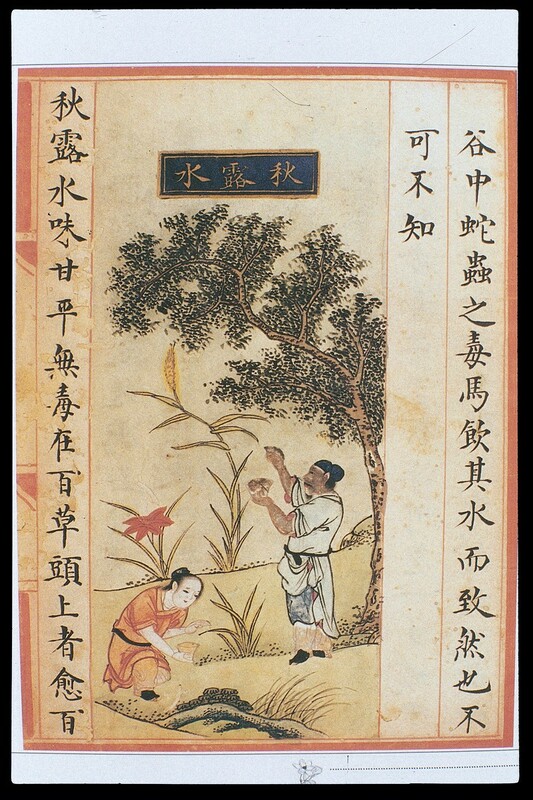 With the exception of the photograph to the left here, the pictures below come from Vivienne Lo’s wonderful collection of illustrations from Shiwu bencao (Materia dietetica), a dietetic herbal in four volumes dating from the Ming period (1368-1644) found here. For other illustrations, visit the Wellcome collection here and type in your search terms. 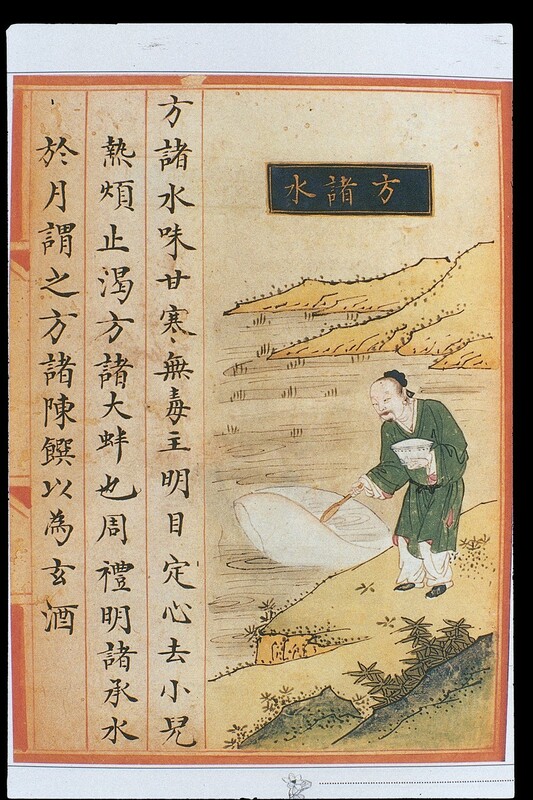 The category of Celestial Waters is comprised of various types of natural precipitation that fall from the sky, from different kinds of rain to dew, hail, snow, frost, condensation gained by exposing a large clam shell or copper and tin vessel to the moon (mingshui 明水 or fangzhushui 方諸水), and even “leaky roof water,” which refers to water that comes dripping through a leaky roof in a rainstorm. Fangzhu water, aka "brightness water"
The third part of this blog on Water will cover the second half of Li Zhizhen’s information, on Terrestrial Waters 地水.